Bifocals are two prescriptions combined into a single lens. Bifocals were originated by Benjamin Franklin in the 18th century when he cut the halves of two spectacle lenses and fitted them into one frame. Bifocals are needed because the distance glasses do not suffice to focus sufficiently for near. As age increases, (in India 38-40 years is the presbyopic age) reading glasses are required to read at a comfortable distance. 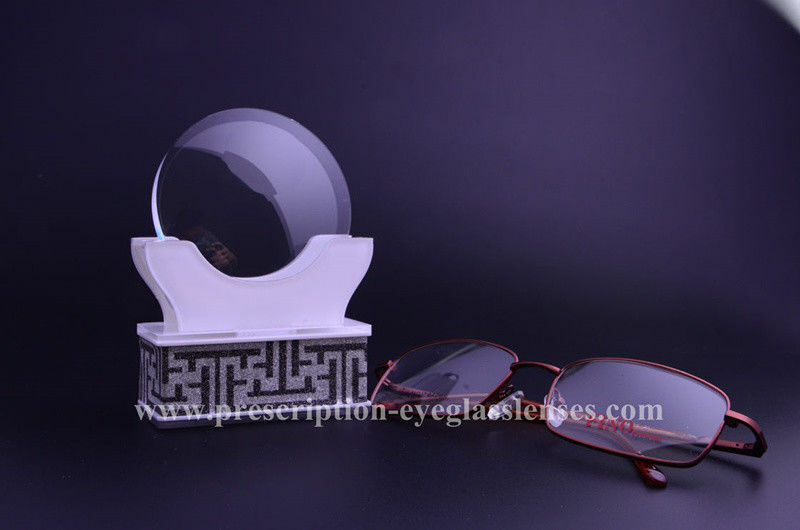 Rather than taking out the distance glasses and putting on near glasses each time, a person who wishes to work at the near point could use the lower segment comfortably. There are various types of bifocals available, from the round-top bifocal, flat-top bifocal to the executive bifocal. One popular fused bifocal is the round seg bifocal. 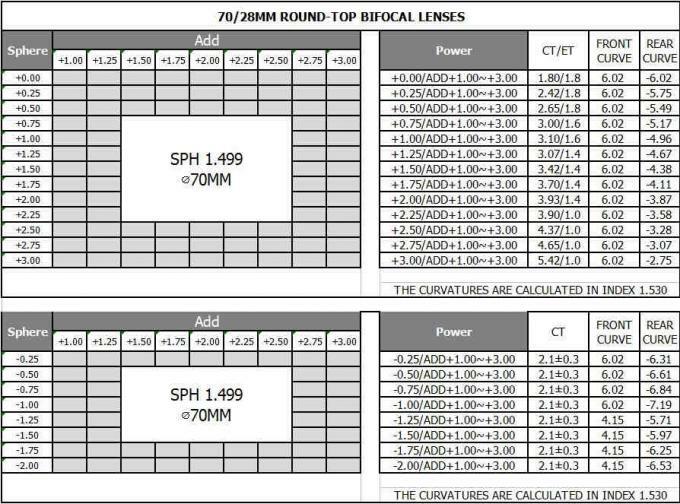 Round-top bifocals are further described by the width of the near segment, measured in millimeters (mm). 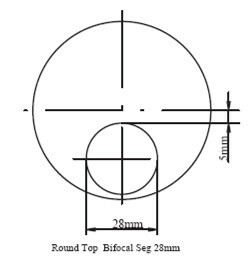 The most popular RT bifocal is the RT-28, a round-top bifocal with a near seg that is 28 mm wide. An advantage of round seg bifocals is that the line separating the distance and near zones of the lens tends to be less noticeable than the upper line of a D-seg bifocal. Q. Are you trading company or factory? 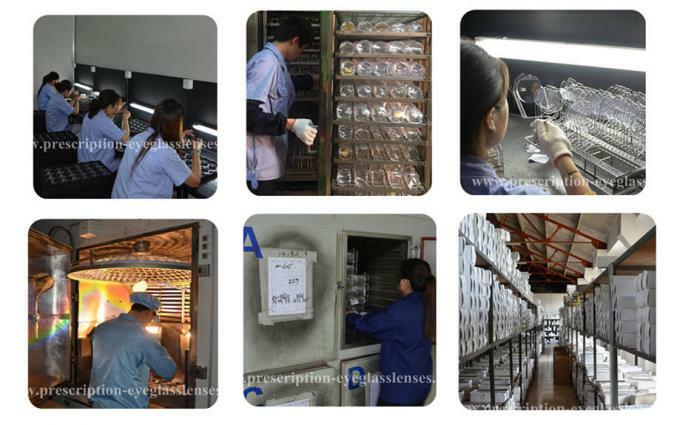 A. AOGANG OPTICAL is one of the largest manufacturers of optical products in China which has a full stock lens collection from 1.49 to 1.74, Single Vision, Bifocal, Progressive, photochromic, bluecut, sunlens, and also polycarbonate. Q. Could you provide free samples for customers checking the quality before they place the order? A. Yes, of course. For those customers who are really interested in our products, if the quantity is reasonable, we would be very glad to provide our samples after get the detailed instructions from the customer. Q. What is your Min Order quantity? A. Actually, we dont have Min Order quantity requirement. But if the quantity order is too small, we have to charge extra delivery fee and custom fee.